Cameron in Europe: en route to not much changing at all . . . But where the hell in London do you get Okinawan sea grass? Hail to one of the good guys — they don’t even advertise! Rathergate Rumbles on . . .
It’s always nice when a comment points you to something you’d otherwise have missed. Al Dorman’s rather acerbic post here took me on a search across the ocean to a publication called Texas Monthly which has published one of the best examinations of the whole Killian memos/Rathergate debacle I’ve yet seen by Joe Hagan. Read it all here. — there are holes in Dubya’s wartime record. This latter point is something not even the staunchest Republican would deny and one day we’ll know where George W. Bush spent those missing flight hours. I suspect the answer involves a drink or two, his secret service codename was ‘tumbler’ after all. One other thing I took away from this article, as I pointed out in 2007, Dan is still bitter . . . very bitter and is planning more coal-raking in a forthcoming memoir. Apart from a teenage Judge Dredd addiction I never was into comic books but in the past 2 weeks I’ve read two: Zahra’s Paradise by Amir and My Friend Dahmer by Derf Backderf. 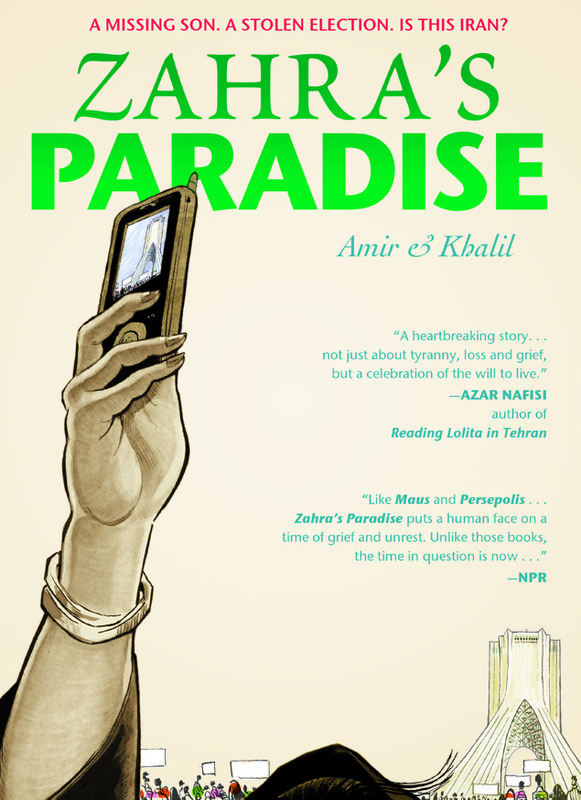 Zahra’s Paradise is set in the aftermath of Iran’s 2009 troubled elections. At the peak of the violence I was monitoring twitter and other sites for Iranian and world reaction so many of the events described in the book hit home. But if you’re not a follower of the inner workings of Iranian power struggles then this book still works. The drawings aren’t that sophisticated — fans of Alan Moore’s books and even early DC comics won’t be impressed by the rudimentary black and white inking — but as an introduction to the sheer hassle of daily life in Iran it’s a great tome. The story centres around a mother who tries to find her son after he fails to return home from a street demo. Bribes, humiliation and danger await around every corner as she peels away the layers of stifling bureaucracy. Not bad. My Friend Dahmer is a tough one to put down. Not for the reasons you think. 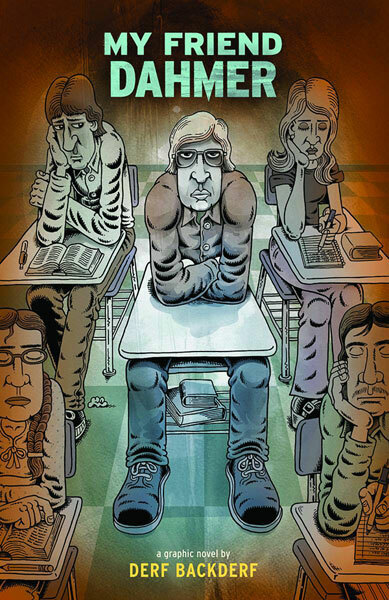 No grisly details of the serial killer’s exploits are in here, instead you get a very frank account of Dahmer’s school days from a guy who went to school with him. It’s quite clear that the author thinks that the system failed Jeffrey but he never quite strays over the line of saying that the killings were the state’s fault; it’s also obvious that Dahmer made the choices he made purely under his own volition and I’m pretty sure most people’s childhood featured kids from broken homes who hit the bottle too much too young yet still managed to avoid carving up hobos for kicks. Backderf has a nice turn of phrase and some of the pathos is achingly funny like when Backderf describes how Dahmer — future notorious serial killer — got a date for the prom but he, the author, didn’t. Backderf’s revelation that Dahmer got high school approval from mimicking spastic movements of people with cerebral palsy should be a warning to anyone thinking of mocking the disabled that this behaviour will put them in very bad company indeed. to their families, friends and colleagues as they face this devastating loss. journalists take to report the truth. every day. Marie and Remi died bringing us the truth about what is happening to the people of Homs. efforts to stop the Assad regime's despicable campaign of terror in Syria." Kira Cochrane’s well-researched article about gender imbalance has caused much soul-searching. Suzanne Moore has a nice follow-up saying it’s basically because women cannot bulls**t as much as men which I suspect is true although here in Bush House everyone has their own internal list of rent-a-gobs with more than a few women on it. Recognising fully that Kira almost certainly didn’t choose the headline ‘Why is British Public Life Dominated by Men’ I was prepared to see the column as a pretty good expose of an incestuous, south-east-based media elite which, as a relative newcomer to the industry, I’m starting to recognise more and more and which I suspect was at some point fed into the decision-making of those who decided large chunks of the BBC should be relocated in Manchester. But Kira gives the game away when she says “The fewer women there are in the public eye, the more anomalous they look when they do appear.” I’m not surprised at Kira’s definition because — like me — she’s in the thick of it but if you think public life is the Today programme, Mock the Week and newspaper columnists then there are deeper pathologies at play. The article says more about the circles Kira moves in than anything else. There are a great many more public institutions here in the UK than print and TV media. I’d like to see Kira’s analysis applied to say the NHS or local governments. My anecdotal experience of senior hospital staff (Kings in Camberwell) or working with councils (South Ayrshire, East Dunbartonshire back in the early noughties) suggests that the imbalance isn’t so stark and might even go the other way. Brian Stelter of the NY Times writes about how he tweeted/reported/uploaded the story of Joplin’s tornado. The last two voices in the montage are Brian’s and it was a great end to the montage. Thanks for your tweets Brian.